We have brought in this New Product to combat the effects of Saltwater on your Adjustable Bunk Bracket Tops. If you are browsing for a replacement swivel top for your brackets, the most common replacements have always been Galvanized in either Light Duty or Heavy Duty. We now have this product that can replace both of them, and will no longer rust out. 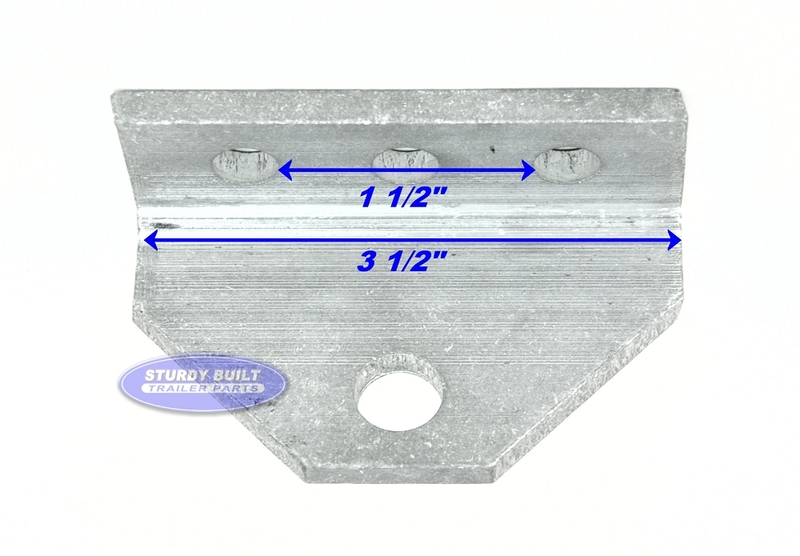 This is a Solid Aluminum Top piece that can be mounted on any length support bracket and then secure your bunk boards. 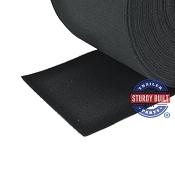 Review the Pictures with this listing to confirm the measurements and to ensure you get all the hardware needed to complete your installation. Another major advantage we offer with this product is the use of stainless steel hardware, available separately and shown in the links below. 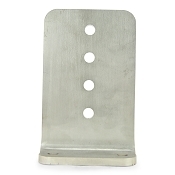 Regardless of your brand of boat or trailer, this component will work with all standard Swivel Top bunk bracket models. For Trailer owners using 2" x 2" Square Tubing or 1 3/4" Round tubing (common on Magic Tilt Trailers) with Swivel Tops, now you can use Aluminum Brackets instead! 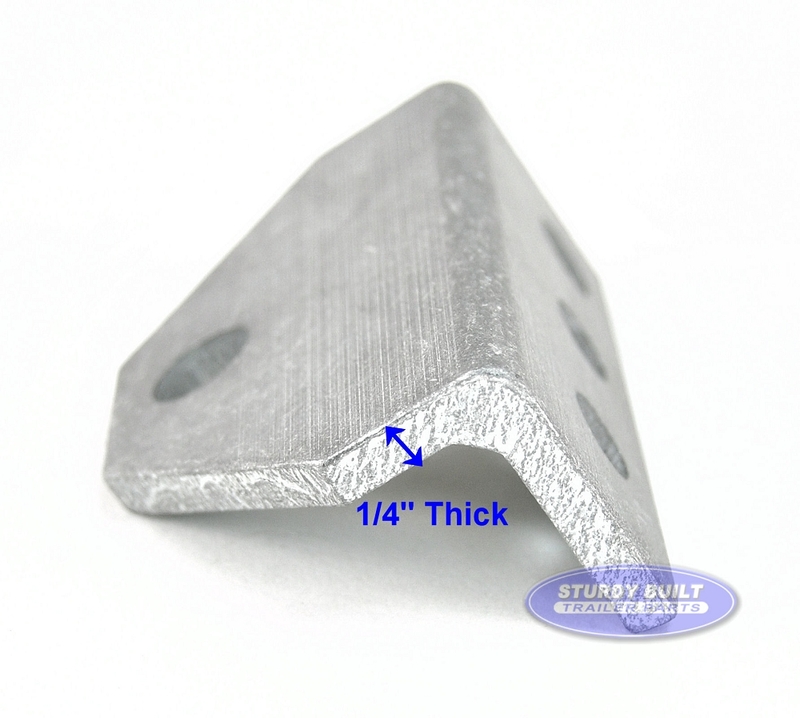 This Product is Made of 1/4" Aluminum for optimal strength. 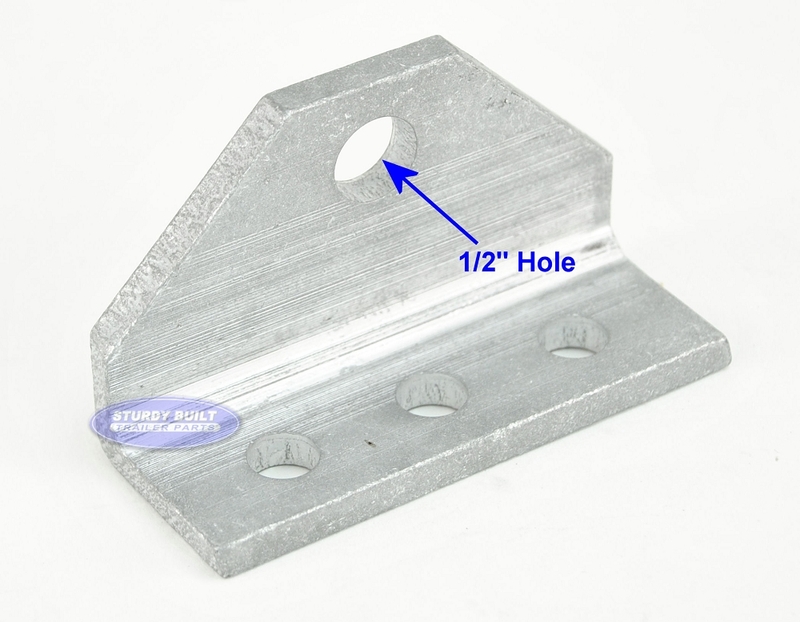 These Top Angles are guaranteed to support your Boat Trailer Properly and not Rust! To Mount this Swivel Top you would commonly use a 1/2 inch Diameter by 1 inch Long Stainless Steel Bolt to secure it to your bunk bracket. 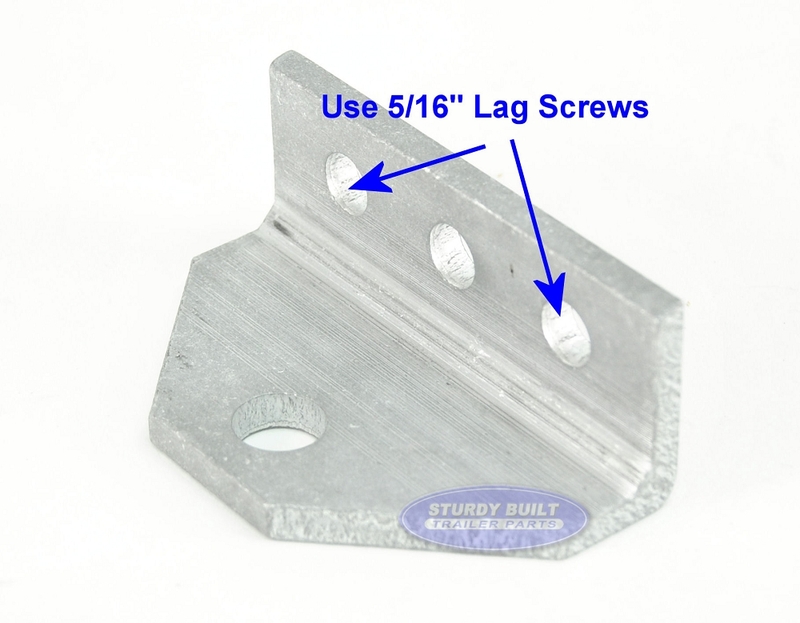 Also, you can use (PAIR) - 5/16 x 1 1/2 Stainless Steel Lag Screws for Swivel Top Bunk Bracket to mount your bunk board to the swivel top! You will see the optional Set Screw Holes in the Bracket as well. Due to high demand for additional securing force, we have had these holes drilled for customers to apply additional set screws. Better than the original product that came on my high end trailer! SATISFACTION GUARANTEE: If you are unhappy with your purchase for any reason, you can return your item for a complete refund (excluding shipping cost). Please contact us within 30 days of receiving your item. CUSTOMER SERVICE IS OUR #1 PRIORITY! YOU WILL NOT BE DISSAPOINTED!